10.11.07 With one event to go, Ruben Babayan leads the 2007 Maine Chess Player of the Year competition by just over three points. Barring a catastrophe at this weekend's Maine Open, this padding nearly guarantees another title for the expert player from Portland. ChessMaine will bring you an illustrated tournament report from the Maine Open as well as final results for the Player of the Year competition. In the meantime here are the numbers. 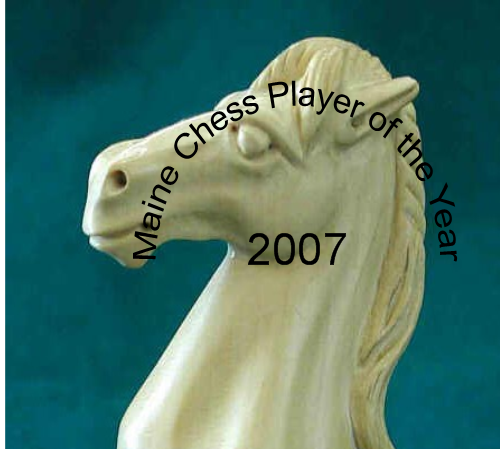 Thanks to Lee Doucette for compiling Maine Chess Player of the Year statistics. Player of the Year page.